The complete equipment solution. The UK’s leading retail partner. 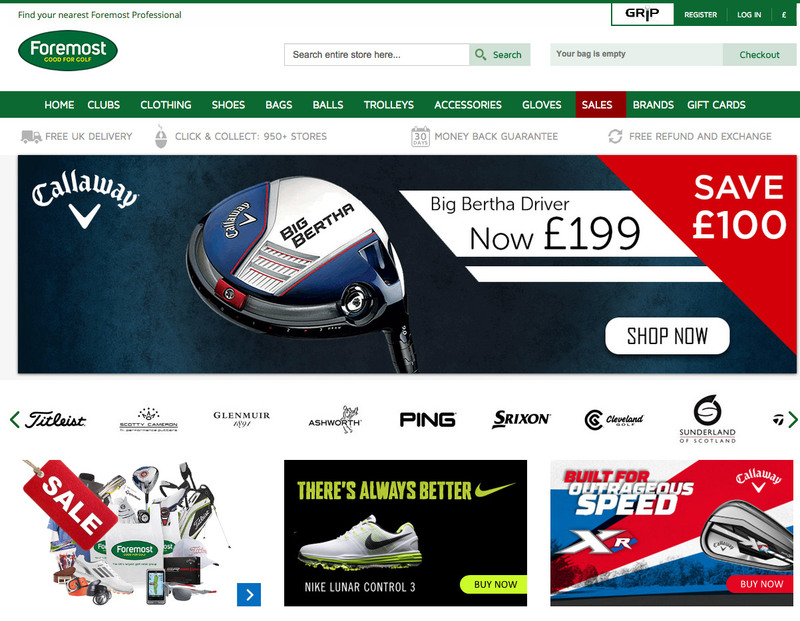 Foremost Golf is the largest golf retail group in the UK with over 950 stores nationwide. Every Foremost golf store has a resident PGA Professional who are always on hand to ensure you have the right golf clubs for your game to ensure you enjoy better golf. MM could not be more pleased to have Foremost Golf as our recommended retail solution and valued partner.